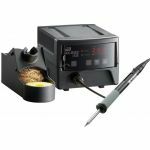 Goot (Taiyo Electric LTD) is a leading supplier of temperature controlled soldering stations, desoldering stations, soldering tips, and accessories. 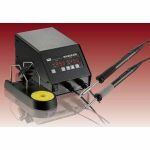 Goot line of soldering stations includes RX-802AS, RX-822AS, and RX-852AS models. Goot line of temperature controlled soldering stations are a key piece of equipment for all electronic assembly operations. 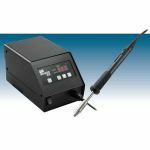 A wide variety of soldering stations are available from 60W to 150W with an adjustable temperature range of 150~450°C. Other options such as analog or digital displays, safety approvals (UL, TÜV, CE, CSA, and SAA), a choice of input voltages to meet local market needs and ESD safe models are built to meet customer specifications. Choose a Goot Soldering Station Today.